The spirit masters at Mosaiq, Inc., producers of the legendary Lemon Hart 151 overproof rum, recently announced that their latest expression, Blackpool Spiced Rum, has landed on U.S. shores. Blackpool Spiced Rum is a blend of four carefully selected Demerara rum marques, that are distilled, aged, and blended on the East Bank of the Demerara River in the lush tropical South American country of Guyana. Named after the popular English seaside resort of Blackpool, the tantalizing blend for the 86 proof premium spiced rum was conceived by world famous Master Blender Michael Booth, known for blending award-winning rums for country music superstar Kenny Chesney. Booth has been involved with the Lemon Hart & Son brand since the 1980s, and combines expert rum-making craft knowledge passed down through the generations. 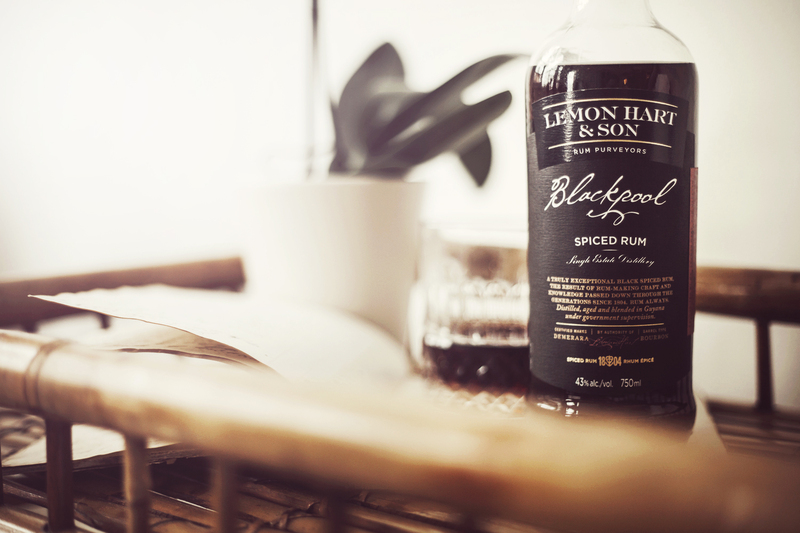 Blackpool is a beautifully-crafted, British style dark spiced rum. Its audaciously complex rum profile expertly balances cask notes of exotic dried fruits, island spices, and vanilla bean with an all-natural spiced infusion to complement this exceptionally smooth, remarkably deep rum experience. 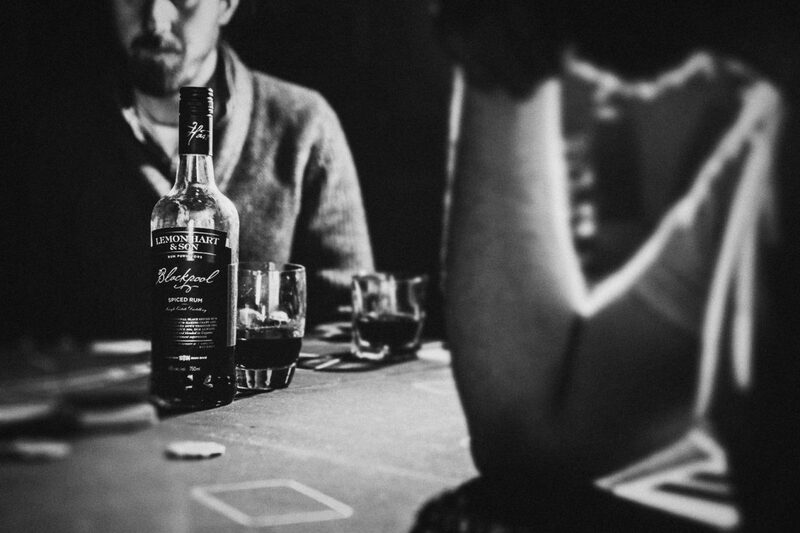 Blackpool is bottled at 86 proof to further enhance the rich complexities of the naturally-occurring spice notes found in this sublime spiced rum. An incredible experience aromatically. Entry is viscous, toasted, roasted, bittersweet, fig-like, date-like, and, oh, luscious; midpalate is extra long and deep, stunningly complex, grapy/raisiny, plummy, pruny, and sensationally tasty and savory. In my top rank of spiced rums. The famous Lemon Hart name carries a legacy of tradition and authenticity beginning in the late 18th century that was romanticized well beyond Hart’s death in 1845. Renowned for being the first supplier of rum to the British Royal Navy, Lehman ‘Lemon’ Hart’s iconic lineage drives the personality and brand imagery of the new product. Lemon Hart & Son’s new label designs are more classic and masculine in their style, helping the products to be more visible. Blackpool Spiced Rum launched in select U.S. states earlier this year. 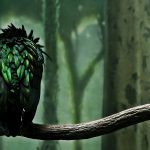 In November 2017, they will celebrate their official release with special off-premise sales coupled with trade media and promotional events in south Florida and key Midwest markets. Lemon Hart & Son’s Blackpool Spiced Rum is now available in major retailers and in specialty liquor stores and bars throughout South Florida. Blackpool Spiced Rum has an MSRP of $26.99 for a 750ml bottle. 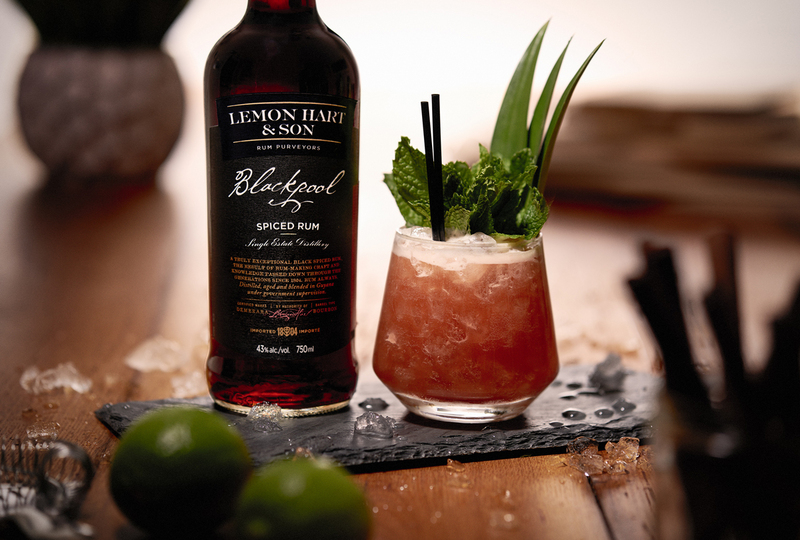 With the release of Blackpool, our entry into the dynamic, and fast-growing spiced rum category, we pay tribute to the provenance of the iconic Lemon Hart brand while connecting today’s consumers with the passion of the rum-making craft. Michael Szczepaniuk, Managing Director, Mosaiq, Inc.
With Blackpool Spiced Rum, the complexity of flavors abound. Exotic dried fruit overlaid with island spices, releasing a profile of cinnamon, freshly ground nutmeg, cloves and ginger, all resting on a warm vanilla swirl. Developing notes of toffee, butterscotch, cocoa, and butter rum flavors. 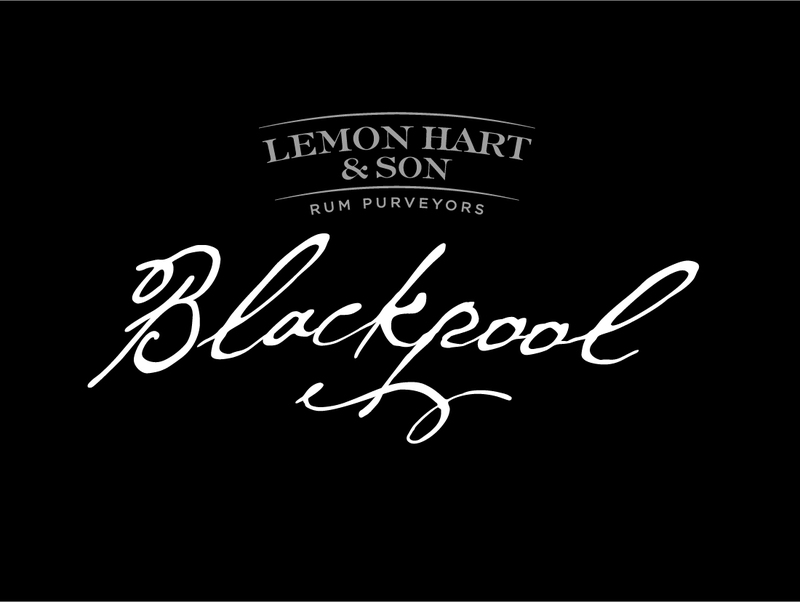 A distant lingering of gentle Bourbon oak, and steeped tea finish well, distinguishing Blackpool as uniquely crafted by Lemon Hart & Son. Method: Flash-blend with 1 cup of crushed ice for 3-5 seconds. Add additional ice if needed. Garnish with multiple fresh mint sprigs, pineapple leaves, and edible orchid. Pour unstrained into a medium-sized hurricane glass. Originally invented at the Aviary Bar of the Kuala Lumpur Hilton, Kuala Lumpur, Malaysia, circa 1978, the Jungle Bird was unearthed by Tiki archaeologist Jeff “Beachbum” Berry in the 1989 paperback, The New American Bartender’s Guide by John J. Poister. Berry subsequently reprinted the recipe in his seminal 2002 book Intoxica! The drink was then showcased (and tweaked) by New York bartender Giuseppe Gonzalez. Taking the classic drink to new heights, Lemon Hart & Son’s “Black Bird” is the definitive version of the classic cocktail – the only vintage, five-ingredient Tiki drink that has bloomed into a bartender favorite, whose popularity goes well beyond the parameters of the resurgent Tiki culture, appealing to home bartenders and mixologists alike. Lemon Hart & Son rums are distilled by Demerara Distillers Ltd. Mosaiq, Inc. acquired the Lemon Hart brand in 2010 from Pernod Ricard. In 2016, Mosaiq appointed Demerara Distillers Ltd. (USA) as exclusive US importer. 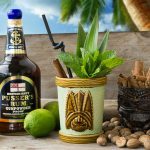 Blackpool has answered the call from members of the new Tiki generation who demand more dynamic, bolder styles of rum. NOTE: All Lemon Hart & Son rums are blended by Master Blender Michael Booth and are all 100% tropically aged in Guyana. All Lemon Hart & Son rums share a common style due to a special and distinctive technique, and production philosophy. All Lemon Hart & Son rums are distilled in Guyana and aged there in Bourbon casks (American white oak) which imparts some vanilla and delicate spice notes. The weather there is hot and humid which is good for a higher Angel’s Share. The resulting liquid is then bulk shipped to Montreal, Canada where it is bottled by Sazerac.